Horizontal & Vertical CNC Turning | Snyder Industries, Inc.
Snyder Industries’ Turning department consists of nine horizontal and twenty-one vertical CNC turning centers, manufactured by IKEGIA, OM Ltd, Doosan, Olympia, Hankook and Toshiba. 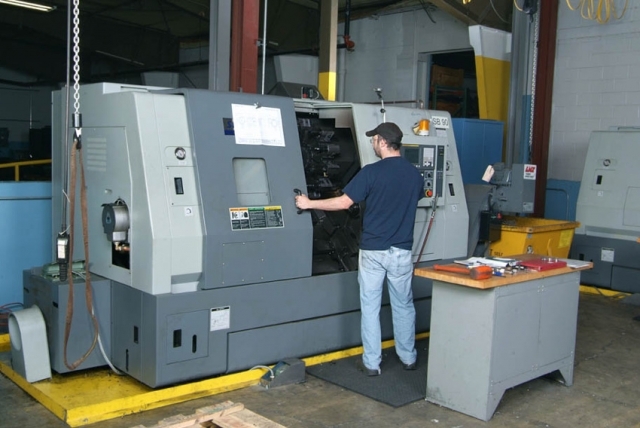 All lathes have CNC controls by G.E., Fagor, or Fanuc. 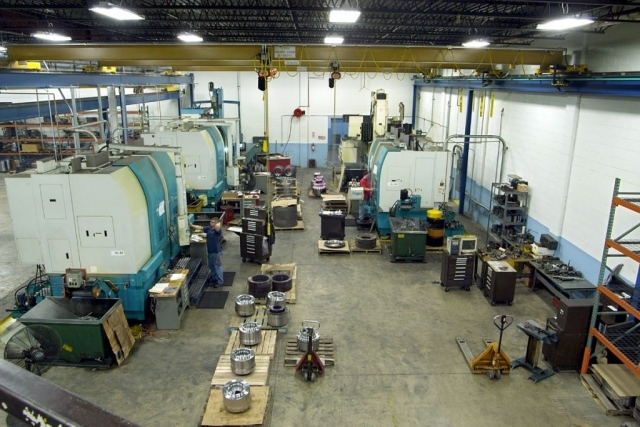 The horizontal lathes have hydraulic chucks, and the vertical lathes have manual independent chucks. These machines offer diameter capabilities from 2″ to 63″ and length capabilities of up to 67″ with the ability to machine to tolerance of .0002″. 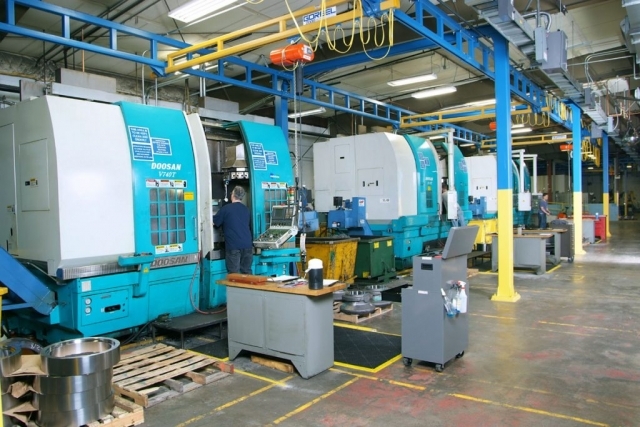 Four Toshiba TUE150s have been installed in the Snyder facility to handle the constant demand of larger inner and outer diameter work pieces from their customers. 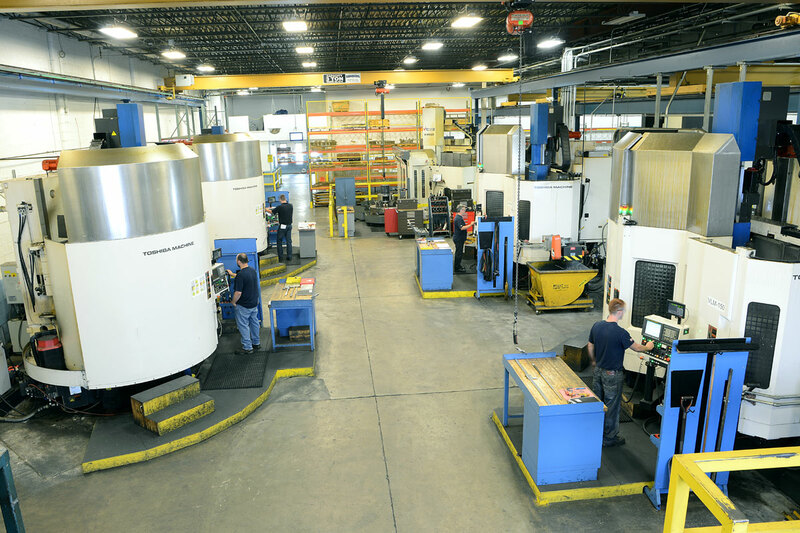 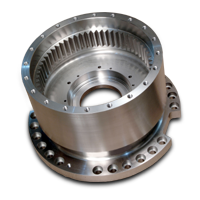 Snyder Industries’ turning department can satisfy all of your machining needs, from large amounts of stock removal to holding a tight tolerance diameter.